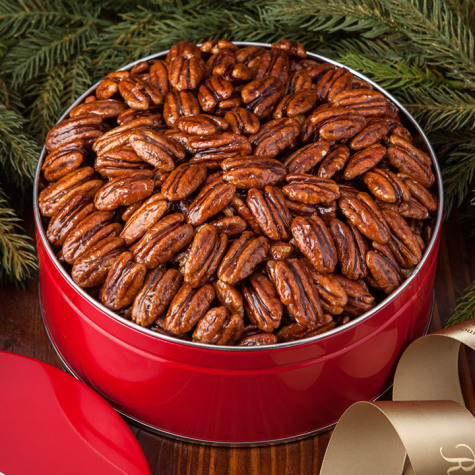 Send the delicious spirit of the season with the tastiest of our glazed mammoth pecans tucked inside, what else, but our signature gift tin. FLAT RATE SHIPPING : Ground Shipping : is just $8.95 per address. Military addresses (APO, FPO etc.) : Receive Free Ground Shipping automatically as we strive to support our hard working troops. Shop our gift suggestions for special address types. EXPRESS & SPECIAL SHIPPING SERVICES : 2 Business Day Service - Adds $10 per item 1 Business Day Service - Adds $19.95 per item Alaska and Hawaii shipments - Adds $10 per item & cannot ship express. Transit time does not include weekends or holidays. The Express Delivery Charges are in addition to the standard charges and added PER ITEM that the upgrade is applied to. 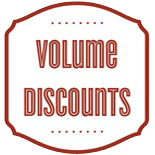 Free Ground Shipping items when upgraded, will be charged the upgrade fees only. OUR WARM WEATHER GUARANTEE : Special shipping and handling is required for all temperature sensitive shipments from early May through the end of September. This is an additional $6 per address to allow for shipping in coolers with dry ice. During this time, we only ship Monday - Thursday to avoid weekend transit. Please call 1-800-793-3876 or view our Warm Weather Shipping Policy for more information. ABOUT DELICATE ITEMS : Some of our items are more delicate than others. For this reason, our site will automatically adjust the shipping method for these items. In the event that additional adjustments are needed, we will reach out to you personally to verify the changes. Please refer to the details below for specific items. Bakery items : When the temperatures in our area exceed a certain threshold, our handmade bakery items will require an express upgrade for an additional charge. During the rest of the year, these items ship with our Bakery Express upgrade as needed for the destination and may arrive separately from the rest of your order. Some of our items may arrive with dry ice in the cooler. Please follow the unpacking instructions provided with these deliveries for proper handling. We do not allow bakery items to be in transit over a weekend so please select a ship date of Monday - Wednesday or we may need to delay your order to the following Monday. Thursday ship dates will require Next Day Air year round. Bakery items cannot ship to PO boxes, Military addresses, Alaska, or Hawaii. Apples : Apple orders are automatically upgraded to Express due to perishability and will ship separately from the rest of your order in specially made coolers. Apples cannot ship to PO boxes, Military addresses, Alaska, or Hawaii. MILITARY, PO BOXES, ALASKA, & HAWAII : Some of our items cannot ship to military, PO Boxes, Alaska, or Hawaii addresses due to their perish-ability. These include Bakery items and Apples. We would be happy to assist in choosing the right gift for your destination so that it arrives in perfect condition. 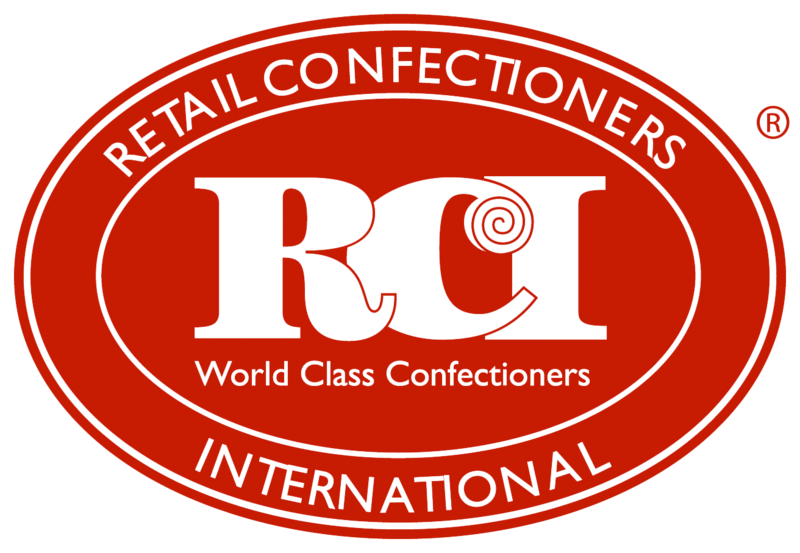 Call our Gift Specialist at 1-800-793-3876 for a one-on-one consultation or shop our sweet gift suggestions for special address types. GROUND SHIPPING TRANSIT MAP : Ground shipping transit time does not include weekends or holidays and are estimates. Holidays, inclement weather, natural disasters, and other unforeseen delays rarely occur but can affect your delivery date. 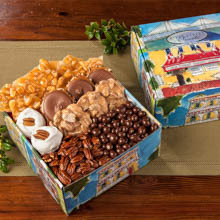 All packages ship from River Street Sweets in Savannah, Georgia. 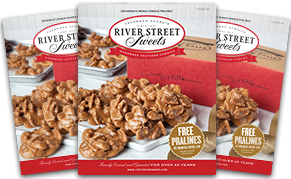 Crunchy glazed pecans in 16oz or 32oz size gift tins with our Classic River Street Sweets design. 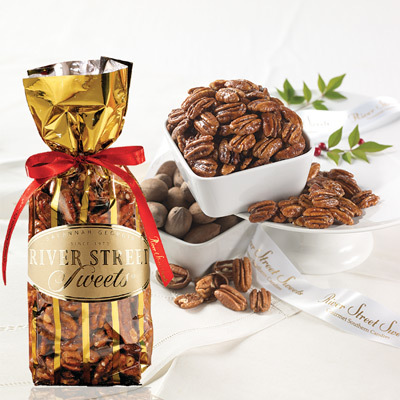 Glazed pecans come in 16oz bags inside tins for freshness. The pecans are truly amazing! Fast shipping, too! I really enjoy the glazed pecans. 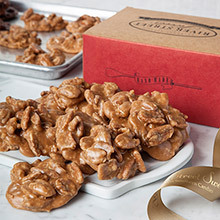 Glazed pecans arrived on time for Christmas and were a hit. My parents loved their sweet treat. I have used these pecans for years & everyone who eats them love them. My favorite for any occasion! This was a Christmas gift for a relative. 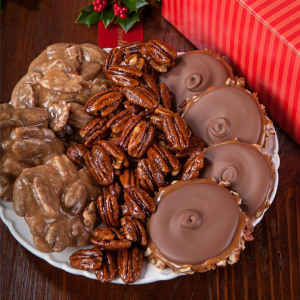 Gift recipient was totally pleased with these pecans.